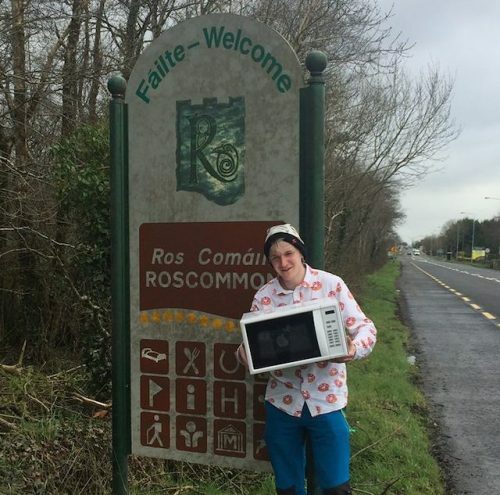 An Irishman is hiking his way around England to raise funds for charity Ronald McDonald House, carrying only a microwave. 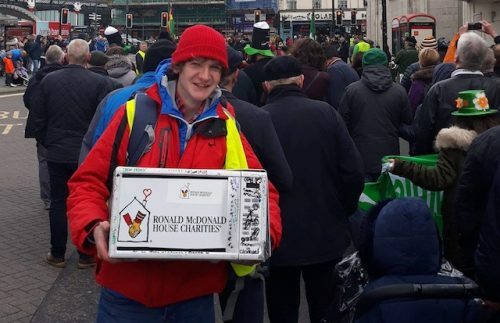 Starting off in Liverpool last Saturday (16 March), Diarmuid McCleary from Monaghan will attempt to cross the length and breadth of the country with no money, and relying solely on the kindness of strangers and the generosity of businesses. He’ll visit 15 cities and cover hundreds of miles, as he works his way south towards London, fundraising as he goes. “I know that England is going to be very difficult and challenging. 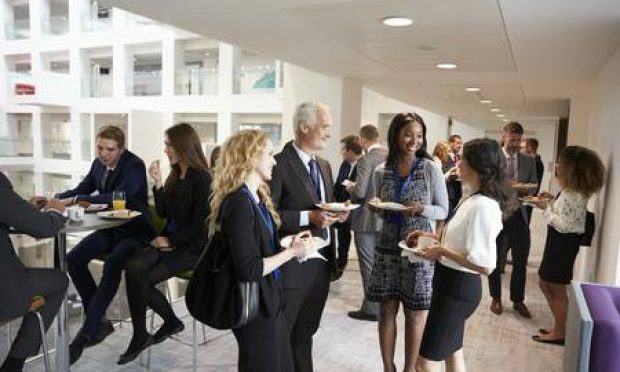 The next few weeks are going to be very cold and carrying a microwave is absolutely exhausting,” said Diarmuid, who estimates he’ll be on the road for a month. 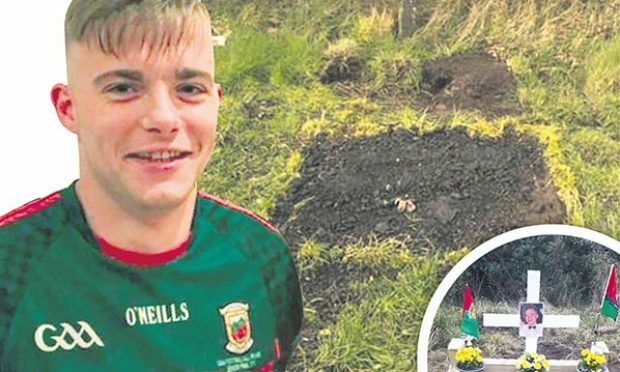 The inspiration for Diarmuid’s challenge is his baby cousin, Oisín – the son of Robert Emmetts hurling club assistant manager Mark Traynor and his wife Seanin, a former treasurer of the club. 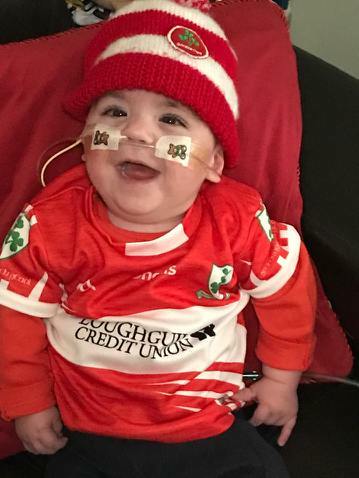 Oisín was born prematurely on 27 May last year at Kings College Hospital at just 25 weeks old and weighing 950gs. He spent the first six months of his life in hospital under constant care. Some of the issues Oisín faced were Chronic lung disease, Renal failure, hypertension, sepsis several times and he was on antibiotics for over 100 days. He also needed multiple blood transfusions and over 31 surgical procedures. With Kings College Hospital nearly two hours away from Mark and Seanin’s home in Harrow, Ronald McDonald House in Camberwell were able to provide them with free ‘home away from home’ accommodation. “Having the chance to stay and spend more time with Oisín was unbelievable and we will forever be grateful for it,” says Seanin. “We probably would of ended up renting something locally as Oisín was so unwell we just didn’t want to leave it. We were told several times he wouldn’t make it – it was a long and very tough road. “We spent very little time in the house over the first few weeks, apart from 3-4 hours a day to sleep, but it was great knowing we had somewhere when needed. “All the staff were brilliant, very friendly and supportive and we will always remember them. Now back at home with his parents, Oisín is on oxygen 24 hours a day and still needs to fed through a tube. “We have lots of appointments since discharge and still have a long road ahead but the support we received and continue to receive has been amazing,” added Seanin. 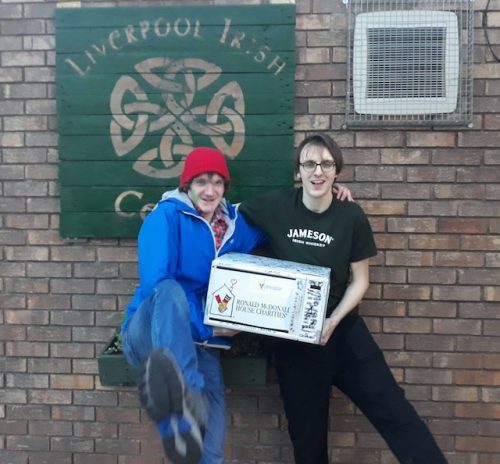 Diarmuid has set himself the target of raising £2,000 for Ronald McDonald House in Camberwell, having previously hitchhiked his way around Ireland and Scotland. While trying to survive with nothing as he makes his way around England, Diarmuid will complete any challenges put to him on his journey to get donations. Last year, ‘The Microwave Express’ visited all 32 counties of Ireland to raise money and awareness for mental health charity Jigsaw. 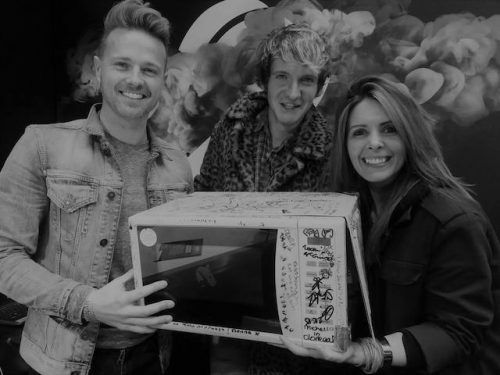 Along the way, he managed to get a number of famous celebrities, including Daniel O’Donnell, Ryan Tubridy, Ray D’arcy, Ronan Keating, Nathan Carter, Sharon Ni Bheolain and Clion Hagan to sign the microwave. It took him 12 days and he raised €3,000 for the charity. 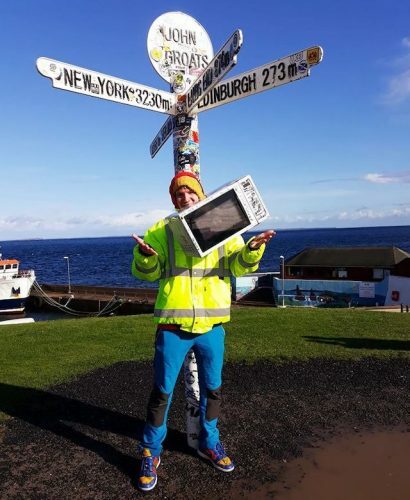 He followed that up by going international and travelling around Scotland for ten days to raise funds for Robyns Life and Robyn Smyth – a young girl fighting Neuroblastoma. He raised more than €2,500. Over the last 30 years Ronald McDonald House has helped tens of thousands of families (8,000 families each year) during some of the toughest periods in their lives. The charity supports families while their child receives care and treatment in a specialist children’s hospital by giving them a warm and welcoming place to rest their heads, just a moment away from their child. There are currently 14 Ronald McDonald Houses across the UK. Its dedicated teams of staff and volunteers welcome families to stay for days, weeks and even years. Win hospitality at London Irish’s St Patrick’s Party!